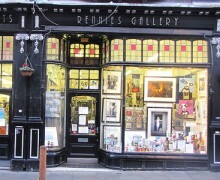 We are very pleased to unveil the debut collection from a new artist to Rennies Gallery, Sam Denmark. Each of Sam’s evocative images tells a story. 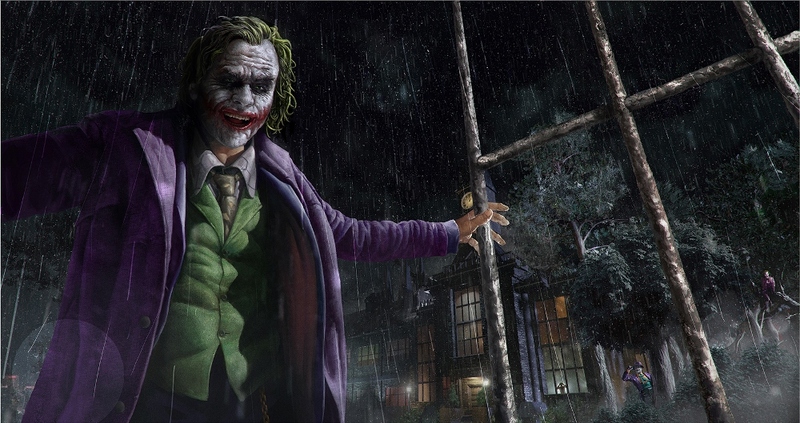 This piece, ‘How To Train A Joker’ features Heath Ledger at the gates of Arkham, he is a raw recruit, he has the make up (so new it is dripping doe=wn his face and hands in the heavy rain) and waiting to train him in the ways of being The Joker, are 3 previous Jokers, depicted in stances they are all known for. Take a look at the five images that comprise Sam’s debut collection of signed limited edition prints. Click here to view Sam’s work.